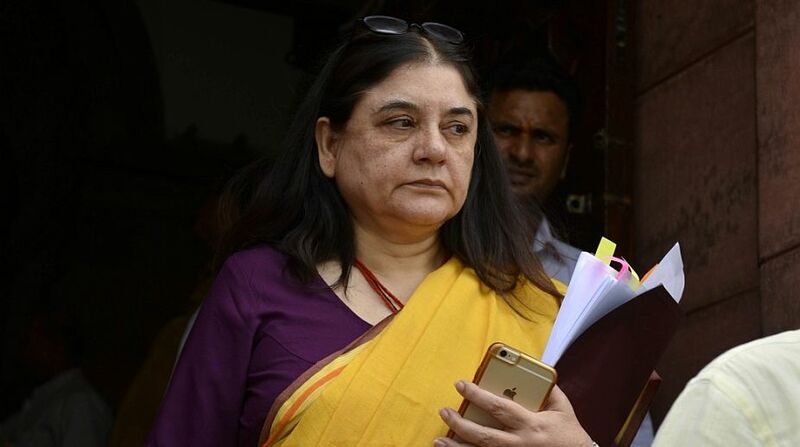 Union Minister Maneka Gandhi on Monday directed the head of the Internal Complaints Committee of Air India to complete the inquiry into a complaint of sexual harassment by the end of this month. The complaint was lodged by an air hostess of the national carrier against its senior executive. According to a WCD ministry official, Maneka Gandhi has also taken up the matter with Civil Aviation Minister Suresh Prabhu. “The minister has also spoken to the head of the Internal Complaints Committee of Air India and has directed her to complete the inquiry within June,” an official statement said. In a letter addressed to Prabhu and also marked to Prime Minister Narendra Modi, the air hostess had asked for appointing a “neutral” investigation committee to look into the incident. The air hostess alleged that she was sexually abused by a senior official, whom he described as a “predator” and equal, if not worse, than Harvey Weinstein, the Hollywood film maker charged with sexual misconduct by leading actresses. The air hostess wrote a letter titled as “Request for justice, sexual harassment and discrimination at the workplace by Air India senior executive” and posted it on her personal Twitter handle. The woman wrote that senior executive is a predator and has sexually propositioned me, abused me, used abusive languages on other women in my presence, spoken of sexual acts with me and other women in my presence on office premises. “This senior executive is a predator and has sexually propositioned me, abused me, used abusive languages on other women in my presence, spoken of sexual acts with me and other women in my presence in office premises”. He has insulted me and denied me positions and privileges after I rejected his advances and he had made my life a misery at work and continues to do so,” she wrote in her letter”, she said in her letter dated May 25. The woman said that she would reveal the name of the executive if she gets an audience with the aviation minister. The air hostess maintained that she had lodged a complaint with Air India last September and written to then CMD of the airline, but “none was forthcoming”. She also accused the airline’s women cell of dragging its feet on the issue.